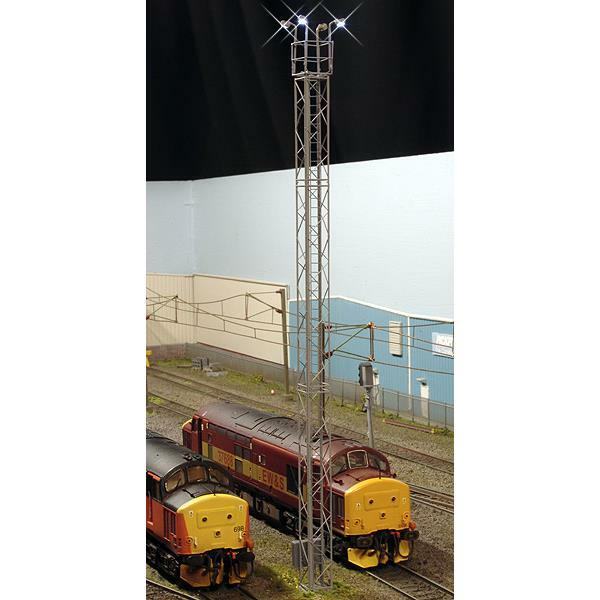 Description Our 4mm scale Yard Tower with working high intensity white LED floodlights. All brass construction. Finished in grey paint. Overall height approx. 240mm. Operates on 12V DC. Because these items require a considerable amount of work to produce there could sometimes be a delay in receiving your order. No money is taken for these until they are ready to despatch.